2018 may be the year Fred and Mary take the royal reigns as King and Queen of Denmark! The couple are more than ready for the top job. Prince Frederik and his Australian-born wife Princess Mary were always set to become the King and Queen of Denmark. And that day may be just around the corner. Royal expert Sebastian Olden-Jørgensen believes Her Majesty Queen Margrethe will abdicate at the end of the year. International RoyalsPrincess Mary's heartbreak: Don’t make me choose between my best friend and the crown! Speaking to Danish magazine Kendte, he said the announcement will come during her annual address to her nation on New Year's Eve. "I think it is possible that The Queen will say she will abdicate." "Next year, Crown Prince Frederik will be 50 years old. He is as ready as he can be to become King. Prince Henrik’s disease has just been announced, so it points in that direction." She's come such a long way! Mary has carried on her royal responsibilities with grace and poise. There has certainly been mounting speculation that both Princess Mary and Prince Frederik have been groomed for the top job, especially in light of Prince Henrik's recent dementia diagnosis. The 83-year-old royal, who retired from public duties last year, will now further downgrade his appearances in future activities. "Following a longer course of investigation, and most recently, a series of examinations conducted during late summer, a team of specialists at Rigshospitalet has now concluded that His Royal Highness Prince Henrik suffers from dementia," the palace said in a statement. "It is the Queen and the royal family's wish that the Prince in the future gets the peace that the situation demands." Since retiring from public life last year, the 83-year-old has participated in very few official duties. 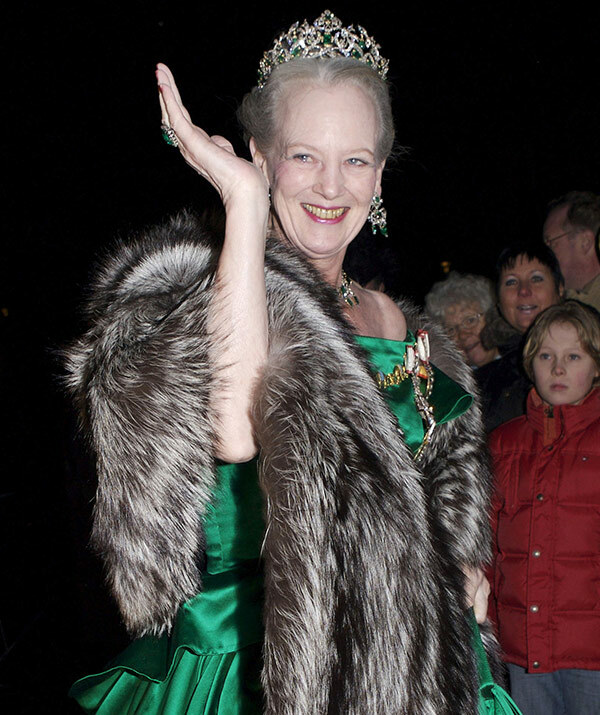 At 77, Queen Margrethe is in fine form and she'd never take the decision to abdicate lightly. In 2015, ahead of her 75th birthday, she spoke to Hola! magazine, insisting she planned to remain on her throne. "I have no problems with my age," she remarked. "I may not be able to cross-country ski or dance ballet, but apart from that I'm physically fine." In her very first picture as Queen! And that smile has never faltered. 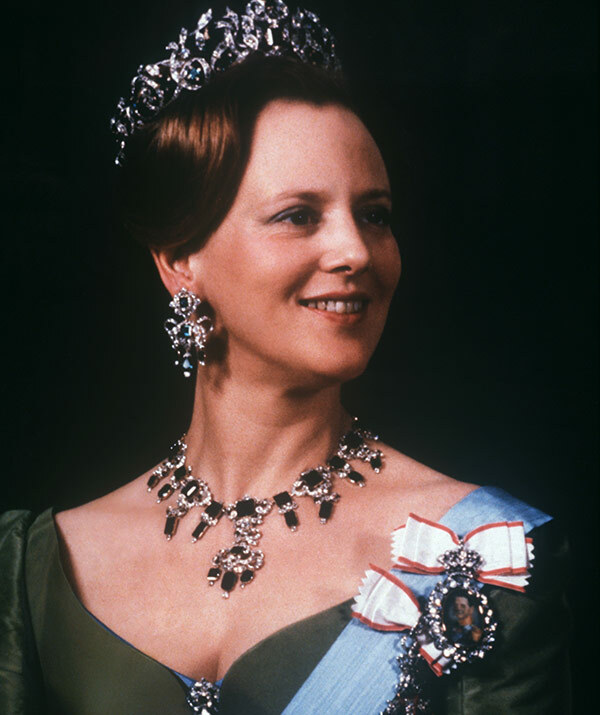 Margrethe was crowned the Queen of Denmark the day after her father King Frederick IX died in 1972. At the time, when asked whether she would step down, she replied "absolutely not". The monarch added that she wanted to be remembered as a queen who did "all she could to benefit her country and people." When she became Queen, Margrethe chose the motto, "God’s help, the love of The People, Denmark’s strength." In her very first address, she told the people of Denmark, "My beloved father, our King, is dead." "The task that my father had carried for nearly 25 years is now resting on my shoulders. I pray to God to give me help and strength to carry the heavy heritage." Adding, "May the trust that was given to my father also be granted to me." Photographed in 2003, Queen Margrethe with her husband Prince Henrik and their two sons, Prince Joachim (pictured left) with his first wife Alexandra and Prince Frederik with wife Mary. Combined she has eight grandchildren. Princess Mary, who is mum to Prince Christian, 11, Princess Isabella, ten, and six-year-old twins Princess Josephine and Prince Vincent, she's more than ready for her new role. Woman's Day exclusively revealed that the Tassie-born beauty was making many changes in her life for the regal move. Earlier this year, Mary, 45, was reportedly told to distance herself from Caroline Fleming, amid claims the model and reality TV star’s “party lifestyle” isn’t becoming of a friend of the future queen of Denmark. “Because Mary will have such an important role as queen, she really has to choose her close friends carefully,” our insider shared. Margrethe is very fond of Mary. She has been teaching her daughter-in-law the ropes. The mum-of-four has also been advised to cut ties with Amber Petty. A palace source claims that Amber is facing the same ban as Caroline because of her obsession with mysticism and witchcraft. Despite everything, there is a lot of love between Mary and her mother-in-law. "There is no doubt Mary is Queen Margrethe’s favourite," our source shared.